Yes revision of the lesson is integral part of your learning process. Once you learned anything today, you need to revise effectively for your retention in your memory. May be you retain 25 percent of your lesson learned in a day and the next day, even lesser. If you see the graph of your memory retention, it is always a slope downward as the time progresses. Better you revise the lesson learned once for the first time in first 5 mins, then after 30 mins, then after 2 hours and every night before you sleep. After sleep when you wakes up, revise again.And in a week and in a month and so on. This will keep your memory better in order to be exactly original what have you learned later. I ask you: is this possible to do this process? Yes! this is possible. Most students of medical, engineering, mathematics students frequently do this process of revision in the universities. Since it is the only process to get revised effectively when you have learned something new. To revise mentally. visualising is the key to organise and make your brain active on the things you want to remember later. The process involves to make you feel a reality of future which you will be going to perform later. Visualising; it may feel you like day dreaming if you are doing at the middle of the group discussion, but things get normal once you practise often and will become quicker. Visualising like you are doing the things right here mentally will actually do better while at performing in reality. So, you will remember better every time you visualize on your backyard. Better choose a safe place to sit like inside a library or a park. You can practise visualising walking way to home or work. While sitting inside a cafeteria or canteen while eating, be careful not to chock yourself. Better choose a peace and quiet place since it will be effective visualising things in those calm places. How do you do while you revise? While revising, keep your pace a bit faster than your normal reading. Since you don’t want to spent a lot of time just revising and faster revising will not make you bored. Better keep points and head lines at front. Do your intricate work into segregation of your points. Make Mind maps handy linking each other main points together. Linking better is the key to remember everything and revise them with your visualisation faster. Revision makes your brain active every day. It reorganises every time you freshly revise yourself the lesson you have learned. To make your brain active, I won’t remain silent without mentioning the brain foods like omega 3 fatty acid, selenium, vitamin B 12, and of course not the least, glucose. Not only these I mentioned but a balanced diet of protein, carbohydrates, minerals and vitamins which are required for normal functioning of your daily requirement of your body. Regular exercise is the key for every fit and quick mental activities as every 20 mins of regular exercise in the morning will make you fresh through out the whole day and never forget to walk at least 100 steps after you have lunched in the morning. 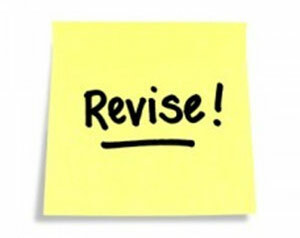 Why I made a post about revision is that while learning anything either it could your language lessons, reading any course books, or any important things you are going to learn which is new, revision makes it fun to be playing a role in your learning process. ← A foreign language – Spanish. Thanks for some other wonderful article. Where else could anyone get that kind of information in such a perfect approach of writing? I’ve a presentation next week, and I am at the search for such information. I like what I see so i’m just subsequent you. Look ahead to discovering your net page yet once more. You are a very domkisleyt clever person! Wow, amazing blog layout! How long have you been running a blog for? you make blogging look easy. The overall glance of your site is fantastic, as well as the content! Thankyou for this howling post, I’m glad I observed this web-site on yahoo. Great awesome things here. I am very glad to see your article. Thank you a lot and i’m having a look ahead to contact you. Will you please drop me a e-mail? I do agree with all of the concepts you’ve got introduced for your post. Theyâ€™re very convincing and will surely work. Nonetheless, the posts are quite brief for newbies. Could you please lengthen them slightly from subsequent time? Thank you for the post. certainly, study is having to pay off. So pleased to get discovered this article.. Isn’t it amazing whenever you obtain a fantastic publish? So happy to possess located this article..
Hiya, I’m really glad I have found this info. Today bloggers publish just about gossips and web and this is actually frustrating. A good site with interesting content, this is what I need. Thanks for keeping this site, I will be visiting it. Do you do newsletters? Cant find it.